A Rare Gem, finally you can have the best of both worlds. 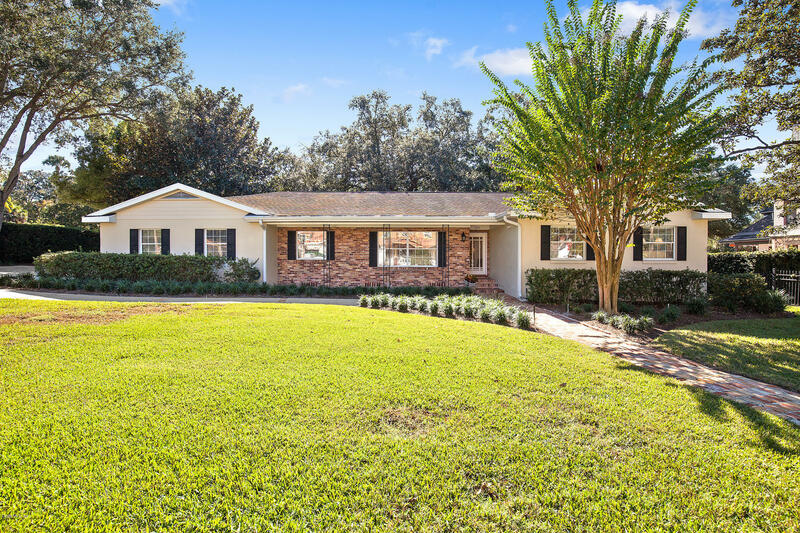 Private Sophisticated Ranch Estate nestled in Ocala's Historic District. Located on the Desirable and Prestigious 5th Street, this home is a Sanctuary for those who desire Privacy and Security, yet still want to Live in the Heart of Town. Surrounded by Ocala's Best Schools, a quick Walk to Downtown Ocala for Shopping and Restaurants. Enter the drive through the Gated entry, greeted by almost 2/3 acre Park-Like grounds, Lush Landscaping all set amongst Mature Trees and foliage. The 2,735 sq. feet of living space has been Impeccably Maintained and is waiting for you to make it your Home. Features a 4/3 true split plan, Master and Junior master en suites, original Hardwood Flooring and more. Too Much to List!! This is a MUST SEE!